The obvious place to start is with project creation. It is assumed you already have the Godot game engine downloaded and installed. If not, you can download Godot here. 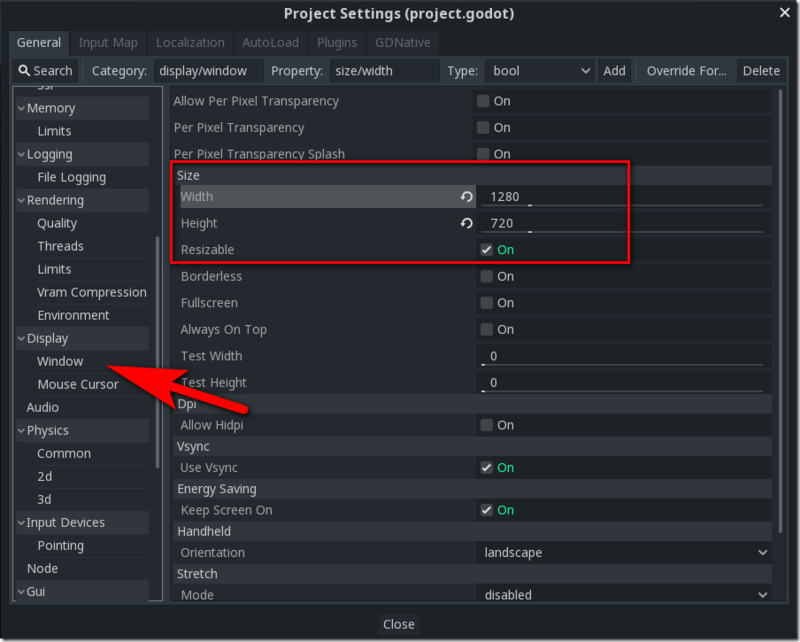 I used Godot 3.1 alpha1 to develop this tutorial, but it should work without modification on any Godot 3+ version, just expect minor differences in screenshots if you are using a version other than Godot 3.1. 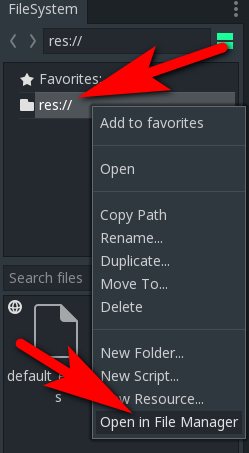 Then in the resulting dialog, pick a folder for your new project, give it a name. In my case I am calling it Air Combat (that’s the name on my title screen graphic after all), but you’re obviously free to call your project whatever you want. 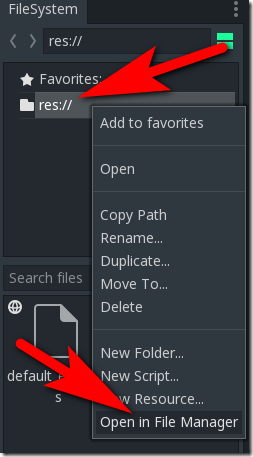 Once you’ve decided on a name, click the Create Folder button. At this point, the Create & Edit button should be enabled. Click it. The Godot user interface will now be displayed and it’s time to get started developing our game! First, let’s configure some settings for our project. 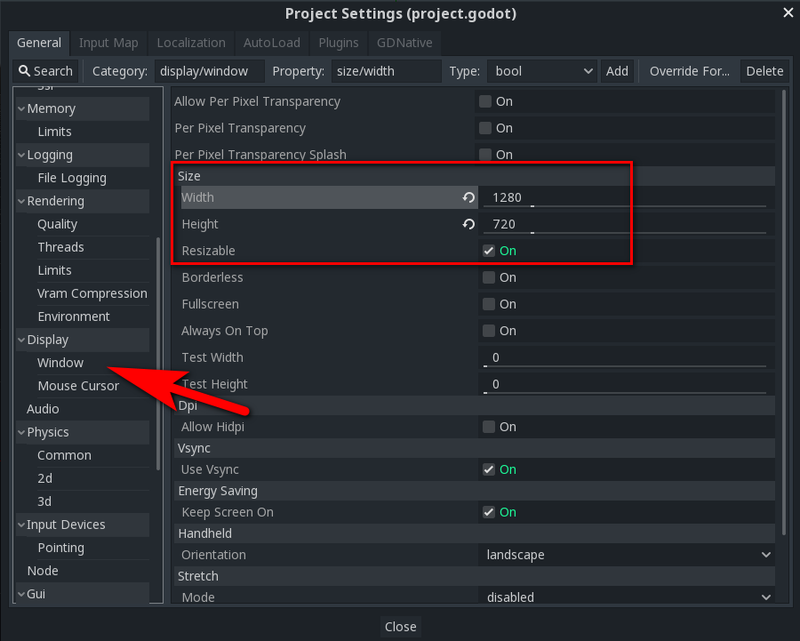 Select Project->Project Settings from the main menu. First, we want to set the resolution for our game, in this case, 720p or 1280×720. In the left-hand side, select Display, then Window, then set the width to 1280 and height to 720. Note the other settings you might want to enable later, such as Fullscreen, Always On Top, Resizable and more. While we are in settings, let’s also set the background color in our game. This is the colour the screen will be cleared to every time graphics are rendered. Select Rendering, then Environment. On the right select the box to the right of Default Clear Color, then pick a Blue color in the resulting dialog. 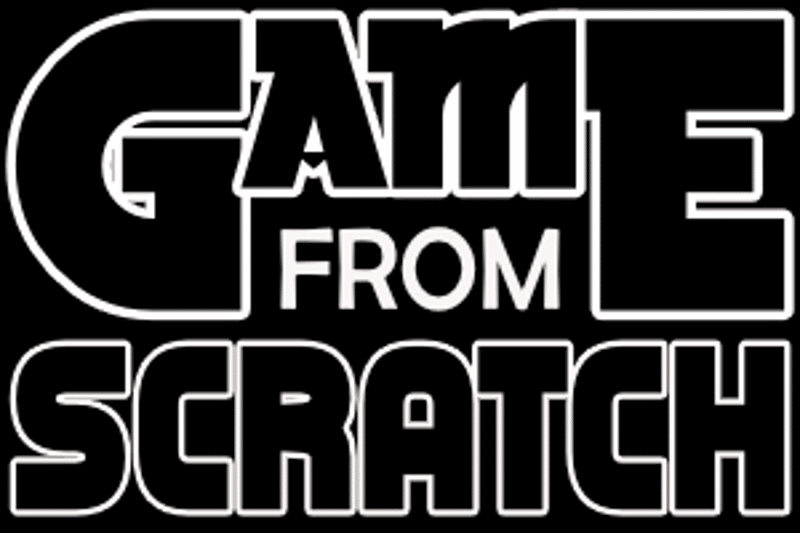 A game is made up a ton of different media content, from textures to audio files. Assuming you downloaded the game assets from the first page of this tutorial series, we simply need to copy the folder into our project. Open the assets zip file in your zip program of choice. Now we need to copy the files into our project. 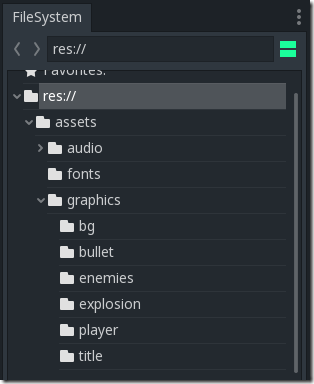 In the Godot editor, locate the File System panel, right-click res:// and select Open in File Manager. 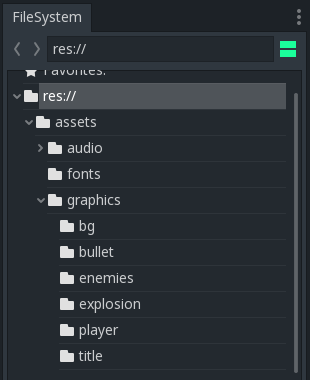 Most of the graphics assets are from http://gamedeveloperstudio.com, however, some assets such as audio and font files have been downloaded from other sources. In each case, look for a text file in the same folder as the asset for details of where the asset was from.